TenFourFox Feature Parity Release 4 beta 1 is now available (downloads, hashes, release notes). I didn't get everything into this release that I was hoping to; CSS Grid and some additional DOM features are going to have to wait until FPR5. Still, there's quite a bit in FPR4, including more AltiVec conversions (this time the library function we're making over is strchr()), layout speed enhancements and hopefully a final fix for issue 72. That was a particularly interesting fix because it turns out there are actually two OS bugs in 10.5 that not only caused the issue but made it a little more involved to mitigate; read the issue if you're interested in the gory technical details, but basically we can overwhelm Leopard with our popup window events, and on top of that we can't even detect the misplaced clicks that result because the NSEvent's underlying CGEvent has incorrectly displaced coordinates. Since it does much the same work to patch around the OS as the fix for issue 248 (which also affects 10.4), even though the two issues have completely different root causes, I mostly combined the code for the two fixes to simplify the situation. It's not well tested, however, so I haven't uploaded it to the tree yet in case I have to back it out like I did the last time. Once we've determined it fixes the problem and it doesn't regress anything, I'll commit and push it. The two major user-facing changes relate to fonts and HTML5 video. On the font side, we now have the same versions of the Brotli, OTS, WOFF2 and Harfbuzz libraries as Firefox 57, meaning we now support the latest iteration of WOFF2 webfonts as well and pick up all the rendering and performance improvements along the way. (This also upgrades Brotli decompression for the websites that support it, and I added some PowerPC-specific enhancements to the in-tree Brotli to use our native assembly byteswapping instructions for endian conversion. I should try to push this upstream when I get a round tuit.) This version of TenFourFox also fixes a longstanding issue where we couldn't display Graphite fonts for minority writing systems; they just wouldn't load due to a compiler issue where one of the key structs was computed with the wrong size, causing the browser to bail out. Before you upgrade, look at that link in FPR3 and note that because of this fallback the Burmese Padauk font has the wrong washwes and the Nastaʿlīq font at the bottom is missing all the ligatures and glyph substitutions shown in the comparison screenshot. In FPR4, this is all corrected and everything appears perfectly. As a formally trained linguist (BA, University of California) and a Christian, I find the work SIL International is doing with writing systems to be fascinating and hopefully this will make TenFourFox more useful to our users in foreign climes. On the video side, the YouTube redesign has been an unmitigated dumpster fire for performance on older machines. Not only does it require a lot more system resources, it also ruined a lot of older addons to download videos that depended on the prior layout (on purpose?). It's not entirely misguided, though: while the lazy loader they appear to be using makes it very hard to deterministically reason about what loads when, after the first video finally grinds through subsequent ones do require much less work. (This is part of Google's attempt to get you to just "leave YouTube on" like your TV, I suspect.) I tried to retune the media decoder state machine to deal with these changes, and the baseline I hit on makes the browser pre-render a lot more frames (not just buffer, but actually pre-decode prior to playback) and pushes much smaller sets to the compositor instead of drowning it in frames that arrive too late and then have to be taken back out. With this change my Quad G5 is able to play most videos in Reduced mode nearly as well as before -- it does not completely erase the loss in performance, but it does improve. This retuning also benefits HTML5 video playback in general, not just on YouTube. You can see the difference on other WebM and Theora videos, such as the ones on Mozilla's own pages, or Wikipedia (WebM VP8 example, Theora VP3 example) — although there is an initial delay while the video pre-decodes, playback should be a fair bit less choppy. Even full-screen playback is no longer "LOL" in theory, though in practice still probably more stuttery than people would like. The same general limitations apply as before; for example, my Quad G5 handles VP9 with MSE fine, but my 10.5 DLSD PowerBook G4 becomes a slideshow due to VP9's higher bitrate and strongly prefers VP8. As such, the default setting is still to disable MSE, and I discourage enabling it except on low-spec G4 systems near the 1.25GHz cutoff (to use the lower 144p and 240p resolutions) and high-end 2.5GHz/2.7GHz G5 systems (to use the 360p and 480p options if desired). FPR4 also introduces an experimental (disabled by default) set of features specifically for YouTube but possibly beneficial elsewhere, namely decode delay and Mach monitoring. Decode delay adds a "wait state" between page load and video playback so that the rest of the page can (eventually) load and the video won't get stomped on by other page display tasks requiring the CPU. In a similar fashion, Mach monitoring looks at the kernel-provided Mach factor at various intervals and if not enough CPU resources are available, inserts a "wait state" right then and there to temporarily delay playback until the CPU load goes down. The reason these aren't enabled is because 1) I'm not sure what the proper values should be, or what a reasonable default is, and 2) longer values can cause some issues on YouTube with very short clips (particularly the interstitial ads) because their code doesn't expect the browser to suddenly take a timeout during playback. When this happens and an ad won't play, you probably can get around it by reloading the page. But you can still play with these settings and see what works for you. Post your findings in the comments along with your system specs, speed, RAM, etc. NB: You may need to restart the browser for some of these settings to stick, as they are cached for performance. To introduce a decode delay, create a new integer preference tenfourfox.media.decode_delay in about:config and set the number of seconds you want. If you say zero (0), or delete the preference, there is no decode delay (the default). Every video played will have the decode delay, but only once upon initial playback. The idea with YouTube is a nice long decode delay to let all the other crap lazy-load, and then your video can queue up in peace. Mach monitoring is based on Mach factor: the lower the factor, the more load is on the system (the reverse of load average in concept); zero, then, means all cores are 100% occupied. The default is a critical Mach factor of 450 (tenfourfox.media.mach_factor_min), a delay of five (5) seconds (tenfourfox.media.mach_factor_delay), and zero (0) maximum tries (tenfourfox.media.mach_factor_max_tries) which essentially disables the feature. If the preferences do not exist (the default), these defaults are used, meaning monitoring is not in effect. At various times the state machine will sample the Mach factor for the entire computer. If the Mach factor is less than the critical point, such as when the browser is trying to load YouTube comments, a playback delay is introduced (note that a delay of zero may still cause the browser to buffer video without an explicit delay, so this is not the same thing as disabling the feature entirely). The browser will only do this up to the maximum number of tries per video to prevent playback thrashing. Systems that are at their limit decoding video or very busy otherwise will likely need the Mach factor set rather low or the browser will blow through all the tries back to back before it even plays a single frame. Likewise, more maximum tries rather than longer delays may reduce problems with short clips but can cause irritating stalls later on; you'll have to find the balance that works for you. A tool like iStat or MenuMeters can give you an idea about how much processing headroom your system has. Finally, this version removes the "Get Add-ons" tab from the Add-ons Manager, as threatened promised. 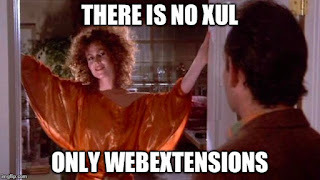 Since the future is WebExtensions, and TenFourFox isn't compatible, there's no point in advertising them to our userbase. You can still download older legacy addons from AMO; I do still support them (remember: "best effort" only), and they will still install. I may resurrect this tab if someone(tm) develops a site to host these old addons. For FPR5 my plan is to expand the use of our VMX-accelerated strchr() to more places, add CSS Grid, add some additional DOM features, and maybe start work on date and time pickers. The other major change I'd like to make is an overhaul of the session store system. The argument is that session stores run too frequently and chew up SSDs by writing the state of the browser to disk too often. As a fellow SSD user (a Samsung 512GB 850 PRO) I agree with this concern up to a point (which is why we have a 25-second interval instead of the default 15-second interval used in Firefox), but I think it's more profitable to reduce the size of the writes instead of making the interval excessively long: our systems aren't getting any younger and some of the instability we get reports on turned out to be undiagnosed system conflicts or even failing hardware. If we had a very long interval, it's possible these people might have lost data. The session store, like any backup method, only works if you use it! Like everything else, you can tune this to your taste (though don't come crying to me if you muck it up). However, I think a reasonable first pass would be to do some code cleanup and then reduce the amount of history that gets serialized by reducing the number of back and forward documents to 5 (currently 10 and no limit respectively), and automatically purging closed windows and tabs after a certain timeframe, maybe a couple hours (see issue 444 for the relevant prefs). Making the interval 30 seconds instead of 25 shouldn't be a big loss either. But if you have other ideas, feel free to post them in the comments. FPR4 final is scheduled for release November 14. After WEP fell due to the 2001 Flurher-Mantin-Shamir attack, WPA2 became the standard way to secure a WiFi connection. Now, the mighty have fallen due to KRACK (Key Reinstallation AttACK), meaning no WiFi network is safe. The attacks concentrate primarily on the handshakes used to distribute keys, including the 4-way handshake used to bring up a new client ("supplicant"). This last point is particularly relevant because Mavericks and Sierra were both vulnerable to attacks on the 4-way handshake but iOS 10.3.1 is not. We can confidently assume that 10.4 and 10.5 (and 10.6, for that matter) are vulnerable in the same or similar ways that at least 10.9.5 are (I'll dive into this in a moment), but the situation is really bad for Linux. wpa_supplicant 2.6 and prior are vulnerable to all of the variants, including current PPC Linux users and devices running Android 6.0+. These will almost certainly be patched eventually, even considering the shrinking support for 32-bit PowerPC in Linux. OpenBSD is also vulnerable, but patches emerged prior to the embargo, and its close relative NetBSD will likely be repaired in a similar fashion. Microsoft has quietly issued a Patch Tuesday update that covers KRACK. There are reports that the issue is already patched in current betas of macOS and iOS, but it's not clear yet if these patches will be backported to Sierra or El Capitan. 10.5 and earlier exclusively use the private framework Apple80211.framework for WiFi connectivity. Although the public wireless networking framework CoreWLAN was introduced with 10.6, the later private framework CoreWifi is not present and a comparison of symbols shows subsequent upgrades to Apple80211's functionality in Snow Leopard, so it is very likely in use invisibly there as well. Although this framework still exists in 10.12, it does not appear to be used or linked by CoreWLAN, implying it was since internally deprecated. Apple never documented this framework or made it open source, but there have been attempts to reverse engineer it. However, the necessary changes likely mean inserting more sanity checks during the key handshake, which would require a bit more than just patching the library in place. I've done a little preliminary disassembly of it but I haven't found where this critical section exists yet. However, there is a tool in this framework which will be very helpful to determine your actual risk; read on. WPA2 has three major encryption protocols, only two of which are supported by PPC Mac OS X, namely TKIP (a legacy encryption protocol from WEP intended as an interim compatibility measure), and AES-CCMP, a more secure protocol which is supported in 10.3.3+ and is sometimes just abbreviated "AES" (incorrectly) or "CCMP." TKIP was deprecated in 2012, but is still often used. The last form is GCMP, which no Power Mac supports in OS X and is part of 802.11ac Gigabit WiFi. This turns out to be a blessing, because KRACK can actually recover the key from GCMP-based connections and forge packets in both directions. This is even worse than TKIP's exposure, despite being the older and historically more insecure means of encryption. The router situation is probably worst of all. Many older WiFi access points will never receive firmware updates, and even if they do, just patching the router is insufficient; every connecting client must also be patched. Some information circulated earlier that said only patching the router is adequate to mitigate the risk, but the discoverer of the flaw is clear both clients and the router must be updated to eliminate the risk completely. Given it's not currently clear how we can patch OS X, then, what can you do with your Power Mac? Well, obviously, if you have the ability to hardwire your system, that would be preferable. All of my desktop Power Macs connect to a secured internal network over wired Ethernet that cannot directly route to the Internet. These steps use a command line utility called airport that comes with Apple80211.framework; you can see other commands with ./airport --help. The first airport command scans for access points. In place of the SSID yournetwork, you should see the name you assigned your router in its settings; its channel may or may not be six, its BSSID will almost certainly differ from this example, and you may see any number of other access points your PowerBook is in range of. What you should not see under ordinary circumstances are multiple copies of your network SSID with the same BSSID on multiple channels. If you do, something might be wrong! The second airport command tells you what access point you are currently associated with. Verify the SSID matches the one you expect and that the security is WPA2 and AES2 (notice this appeared in the first command, too). Periodically recheck these commands as you get suspicious-looking new neighbours or black vans and helicopters show up on your block. Consider replacing your router if there is no update; this won't help your Power Mac, but it would potentially help other connecting devices that were themselves updated. If you are connecting to a router you can't control, like a public access point in your coffee shop or hotel, you should treat any WiFi connection you make to it as if it were open and unencrypted and that an attacker can see and forge any traffic you generate. Though the commands above can give you an idea of your instantaneous risk, even if AES-CCMP is in use a wily attacker may choose to deploy their malicious access point intermittently or when you're not checking, so your best defense is to encrypt what you send and receive. Only use https:// URLs and prefer sites that use HTTP Strict Transport Security and HTTP Public Key Pinning, both of which TenFourFox supports, so that an initial HTTP-to-HTTPS redirect is less likely to be intercepted and stripped and it is much harder for an attacker to impersonate a HPKP-secured site. There are still some sophisticated ways to get around even these added precautions, however, so if you need to do something highly secure like banking or taxes I'd strongly advise going home and plugging into your router's Ethernet ports directly. Even a VPN might not be enough. Meanwhile, I guess I'll be rewriting that Power Mac security rollup post again. Assuming the current state of AES-CCMP holds, though, there may be a way to design a tool to programmatically/automatically detect a forged connection even if the underlying vulnerability cannot be corrected. I have a few ideas about that. More later. OverbiteWX, the WebExtensions Gopher protocol add-on for Firefox, is now available from Mozilla Addons. OverbiteWX is only for Firefox 56+. TenFourFox and Firefox 52ESR can still use OverbiteFF, which is a superior add-on in every respect for obvious reasons. New OverbiteWX users, please read the directions thoroughly! And Mozilla, how about a spec for bug 1247628 so we can finally get TCP sockets working in WebExtensions? We can't even scratch our itch because you won't tell us what type of scratching you'll accept! This blog post is coming to you from a midway build of TenFourFox FPR4, now with more AltiVec string acceleration, less browser chrome fat, some layout performance updates and upgraded Brotli, OTS and WOFF2 support (current to what's in mozilla-central). Next up is getting some more kinks out of CSS Grid support, and hopefully a beta will be ready in a couple weeks for you to play with. Meanwhile, for those of you using the Gopher enabler add-on OverbiteFF on Firefox, its successor is on the way for the Firefox self-inflicted add-on apocalypse: OverbiteWX. OverbiteWX requires Firefox 56 or higher and implements an internal protocol handler that redirects gopher:// URLs typed in the Firefox omnibox or clicked on to the Floodgap Public Gopher Proxy. The reason I've decided to create a new one instead of uploading a "WebExtensions-compatible" version is because, frankly, right now it's impossible. Because there is still no TCP socket API in WebExtensions, there is presently no way to implement a Gopher handler except via a web proxy, and this would be unexpected behaviour to an OverbiteFF user expecting a direct connection (which implemented a true nsIChannel to make the protocol once again a first class citizen in the browser). Since this means Gopher URLs you access are now being sent through an external service, albeit a benign one I run, I think you at least should opt in to that by affirmatively getting the new extension rather than being silently "upgraded" to a new version with (despite my best efforts) rather less functionality. The extension is designed to be forward compatible so that in the near future you can select from your choice of proxies, and eventually, once Someone(tm) writes the API, true socket access directly to the Gopher server of your choice. 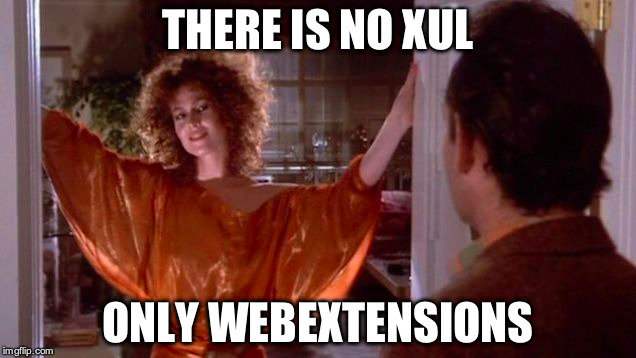 It won't be as nice as OverbiteFF was, but given that WebExtensions' first and most important goal is to reduce what add-on authors can do to the browser, it may be as good as we get. A prototype is available from the Floodgap Gopher server, which, if you care about Gopher, you already can access (please note that this URL is temporary). Assuming no issues, a more fully-fledged version with a bit more window dressing should be available in AMO hopefully sometime next week. TenFourFox users, never fear; OverbiteFF remains compatible. I've also been approached about a Pale Moon version and I'm looking into it. For those of you following my previous posts on the Raptor Talos II, the next-generation POWER9 workstation with a fully-open-source stack from the firmware to the operating system and no x86 anywhere, you'll recall that orders are scheduled for fulfillment starting in Q4 2017. And we're in Q4. Even though I think it's a stellar package given what you get, it hasn't gotten any cheaper, so if you've got your money together or you've at least got a little headroom on the credit card it's time to fish or cut bait. Raptor may still take orders after this batch starts shipping, but at best you'll have a long wait for their next production run (if there is one), and at worst you might not get to order at all. Let Raptor know there is a lasting and willing market for an alternative architecture you fully control. This machine really is the best successor to the Power Mac. When mine arrives you'll see it first. Last but not least, Microsoft is announcing their Edge browser for iOS and Android. "Cool," sez I, owner of a Pixel XL, "another choice of layout engines on Android" (I use Android Firefox, natch); I was rather looking forward to seeing the desktop Edge layout engine running on non-Microsoft phones. Well, no, it's just a shell over Blink and Chromium. Remember a few years ago when I said Blink would eat the Web? Through attrition and now, arguably, collusion, that's exactly what's happening.